So I'm now the mother of a three-year-old. Makes me feel old and it's only going to get worse... oh well! Coco had a great birthday weekend, all her friends on Saturday for a 'picnic party' - more info on this to follow. Doting family on Sunday. 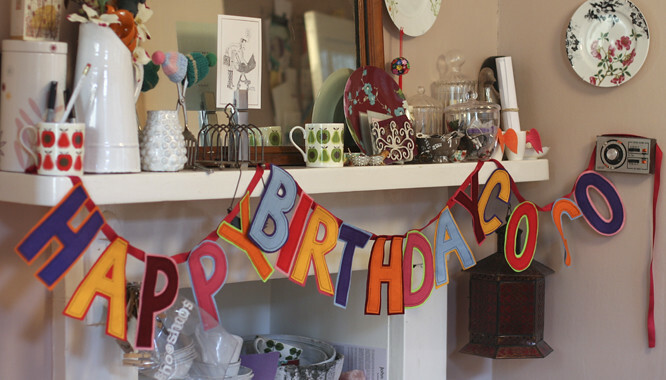 This is some bunting that I made for her first birthday - above in our 'new' house and below as it was when she was just one, amidst the clutter of our old kitchen. A lot of work for one little three year old!